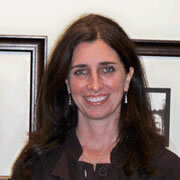 Dr. Spencer is a Licensed Clinical Psychologist with experience working with adults, adolescents, and children. She treats a variety of clinical disorders, including the areas of managing anxiety, depression, stress, self-esteem, adjustment issues, relationship issues, attention, and behavior disorders. Therapy is conducted from an eclectic approach, utilizing cognitive behavioral and solution focused techniques. Dr. Spencer enjoys collaborating with individuals in working toward their goals for personal growth so that they can make the changes needed to lead more satisfying lives. Dr. Spencer has experience counseling children and adolescents in a variety of educational settings. Dr. Spencer received her Bachelor of Arts degree in Psychology from Gustavus Adolphus College in St. Peter, MN. She received her Master of Arts and Doctorate degrees in Clinical Psychology, both from the Minnesota School of Professional Psychology. In addition, she has received extensive training in crisis prevention, crisis intervention, and de-escalation techniques. Dr. Spencer is a member of the American Psychological Association and the Illinois Psychological Association. Dr. Springer-Iannantuoni is a Licensed Clinical Psychologist with experience conducting individual psychotherapy across a very diverse population. She has also worked with couples, families and groups. Dr. Springer-Iannantuoni has treated children and adolescents who have had difficulty functioning effectively in the traditional school and home environments. She also enjoys assisting adults towards improving quality of life by addressing relationships as well as working toward individual change and growth. Some of Dr. Springer-Iannantuoni's other areas of particular interest include depression, anxiety, adoption, parenthood, child behavior, and women's issues. Dr. Springer-Iannantuoni has received her Bachelors degree in psychology from Grinnell College, and her Master and Doctorate Degrees in Clinical Psychology from Illinois School of Professional Psychology. She is professionally affiliated with the American Psychological Association. Margaret Duffy is a Licensed Clinical Professional Counselor with experience treating adolescents, individuals and couples. She is a practical, interactive solution-focused therapist. Margaret uses an eclectic approach to therapy including cognitive behavioral techniques along with humor, while focusing on the strengths and unique needs of each client. As a Level 1 Gottman Certified provider, Margaret offers a new online Relationship Checkup that scores a couple’s strengths and challenges. In addition, she recently became a Certified Reiki 1 Practioner. Reiki is a mind/body relaxation method used to assist balance of physical and emotional levels. Margaret has a Bachelor’s Degree from Ohio Dominican University and a Master’s Degree in Human Services from National Louis University, and has been practicing in the mental health field for 15 years. Prior to this, Margaret spent many years in the Corporate world as a Human Resources professional. This experience aids clients in workplace issues and career changes. Christy Corsun-Ascher is a Licensed Clinical Psychologist who graduated from Nova Southeastern University with a Psy.D. in Clinical Psychology. She provides individual and group therapy for ages eight and older as well as psychological assessment. She has experience in the areas of managing anxiety, depression, bipolar disorder, personality disorders, stress, self-esteem, adjustment issues, anger, and self-injurious behaviors. Christy has an extensive background in testing for ADHD, Learning Disorders, and psychological difficulties, as well as neuropsychological evaluations for cognitive complaints that clarify diagnoses and assist with treatment goals. While her therapeutic orientation tends to be Cognitive-Behavioral Therapy (CBT), including Dialectical Behavioral Therapy (DBT) techniques, Christy is dedicated to finding treatment modalities that are the best fit for individuals for them to achieve more satisfying and fulfilling lives. Jennifer Langille, Psy.D. Dr. Langille works individually with adults with severe mood disorders, anxiety disorders, personality disorders, addictions, and those coping with traumatic experiences and life stressors. She enjoys working with children and adolescents while utilizing play therapy techniques in her work with children. Dr. Langille also provides couples and family therapy. She conducts therapy from an integrative perspective and mostly incorporates client-centered philosophies into her approach in efforts to be collaborative in exploring approaches that best fit the client while encouraging personal understanding and growth. Dr. Langille has experience conducting neuropsychological evaluations with adults suffering with substance abuse issues as well as evaluating children and adults with learning disabilities and other psychological concerns for a more comprehensive understanding of the individual’s overall functioning to provide proper recommendations and referrals to assist with treatment. Dr. Langille received her Doctorate in Clinical Psychology as well as her Masters degree from the Illinois School of Professional Psychology at Argosy University, Chicago. Dr. Langille completed her Bachelor of Science degree at the University of Florida. She also has an interest in perfectionism and family dynamics in past research projects she has worked on. Dr. Langille also has previous training with neurofeedback and enjoys exploring alternatives to medication while working with her clients. Ricca Mann earned a Bachelor of Arts degree in Psychology from Coe College, a Master of Arts in Clinical Psychology and a Doctoral Degree in Clinical Psychology, both from the Arizona School of Professional Psychology at Argosy-Phoenix. Dr. Mann is licensed in the state of Arizona and Illinois. She obtained her post-doctoral training and worked in a private practice in Avondale, AZ. Dr. Mann has experience providing therapeutic services for groups and individuals for various populations including children, adolescents, and young adults/adults. She has experience in working with substance abuse disorders and co-occurring disorders. Dr. Mann also treats a variety of clinical disorders including anxiety, depression, mood disorders, women’s issues, body-image and self-esteem issues, and eating disorders. Dr. Mann has a particular interest in working with adolescent and young adult females. She also specializes in evaluations for bariatric surgery and spinal cord stimulator surgery readiness. Grace Lee is a Licensed Clinical Professional Counselor who has experience working with children & adolescents, adults and families of multicultural backgrounds. She has experience conducting therapy across a very diverse population. Grace works individually with clients to treat a variety of clinical disorders, including depression, managing stress and anxiety, addiction, anger management issues, adjustment disorders, self harming behaviors, and trauma related issues. She particularly enjoys working with older adolescents and young adults as they are navigating their own identity. She worked in a suburban high school providing students with mental health counseling for over 4 years. She has consulted with many schools in educating their counselors and social workers about bi-cultural sensitivities regarding their student population. Grace uses an eclectic approach to therapy that is client focused and culturally appropriate. Each treatment is catered to individual needs and concerns that involves utilizing personal strengths to promote self growth. Grace thrives in watching her clients meet their goals. Grace received her B.A. from Boston University and received her Master's Degree in Clinical Psychology, Counseling Specialization, from The Chicago School of Professional Psychology. She is fluent in Korean and quite often sees individuals and families who are primarily Korean speaking. Adrian has experience working with children, adolescents, and adults facing issues ranging from mood disorders, anxiety disorders, depression, grief, divorce, trauma and daily life stressors. Adrian recognizes that many people can be hesitant about the idea of therapy. For this reason, he believes in creating an open, comfortable, understanding environment where clients can find the healing, strength and hope they desire. He is particularly passionate about helping adolescents, families and couples navigate the challenges of daily living to attain their goals and dreams. Adrian has done this in the past through his work as a home based therapist for children in the community and schools, with families as a Parenting with Love and Limits therapist and with couples through both marital and premarital counseling. Adrian has seen men, women, children and the elderly benefit from therapy when done with empathy and intentionality, and strives to accomplish this with every interaction. Upon receiving her Bachelors degree in Psychology with an emphasis on Domestic Violence and Criminal Law, Laura obtained her Masters in Social Work from University of Illinois at Chicago. She has dedicated her role as a therapist to be one that shows individuals warmth, compassion and instills the value of resiliency. For the past 10 years, Laura has worked in the school setting, collaborating with children and families. She has a strong passion for working with individuals that are facing issues related to anxiety, depression, self-harm, school refusal, effective communication, coping and adjusting to major life transitions and goal setting. Laura uses an eclectic approach to therapy, integrating various forms of evidence-based strategies such as Acceptance Commitment Therapy, Dialectical Behavioral Therapy and Cognitive Behavioral therapy. She enjoys engaging individuals in art, music or other forms of self-expression if they are struggling to find comfort in traditional forms of therapy. People find that she is warm, open, encouraging, and direct. Laura considers herself an active therapist, combining experience, education, creativity, and sense of humor with a down-to-earth, realistic approach to counseling. She truly believes in the power of healing through self-exploration and expression. Laura empowers her clients to expand their self-awareness, encourage inner growth and build personal resiliency when faced with challenges. Laura enjoys working with clients that are willing to develop a trusting and open relationship in which they feel comfortable sharing personal details of their life: past, present and future. Through honest reflection, clients are able to gain a different perspective on current challenges and create lifestyle changes driven by personal goals that are achievable and clients are motivated to work towards meeting those goals. Erin Cannon is a Licensed Clinical Professional Counselor that is passionate about working with teens and their families as well as individuals across the lifespan. She completed her Health Human Performance and Recreation degree at the University of Wisconsin-Whitewater and completed her Master’s Degree at National-Louis University. Erin has worked in a variety of settings including residential treatment, alternative school settings, outpatient counseling centers, and managed care. These experiences have enhanced her ability to assess and treat her clients wherever they are on their therapeutic journey. Erin uses an eclectic approach to counseling including CBT while also focusing on the strengths and abilities of each client. Erin’s experience as a personal trainer allows her to assist her clients in understanding the mind/body connection. Her clinical interests include working with depression, anxiety, obsessive compulsive disorders, and focusing on general mental wellness. Her calm, yet intuitive demeanor makes her a great fit for working with youth, families, and adults alike. Dr. Plonis works with adults experiencing depression, anxiety, parenting issues and relationship challenges. Of particular interest is her research and attention to women’s issues. She works closely with area obstetricians and gynecologists to offer a comprehensive approach to care. As a former teacher and special educator Dr. Plonis has over 20 years of experience working with adolescents. Her solution focused accountability model allows teens to view another’s perspective while encouraging independent thinking and responsibility. Performing custody evaluations/mediation in a private, confidential setting allows families to determine the most suitable process for their circumstance. Dr. Plonis completes each evaluation or mediation in a timely, thoughtful manner with special attention given to how difficult the divorce process can be. Evaluations/mediations are tailored to the individual needs of each family and range from visitation schedules to comprehensive evaluations. Dr. Plonis received her Bachelors degree in 1991 from St. Xavier University, her Masters degree in 1998 from Northeastern Illinois University and her Doctorate degree in 2006 from Illinois School of Professional Psychology. She is affiliated with the American Psychological Association.